Happy Friday, everyone! The weekend is finally here, and I'm so looking forward to not having any set engagements. Over the next two days, I'll be channeling Howard Hughes and become a total recluse. 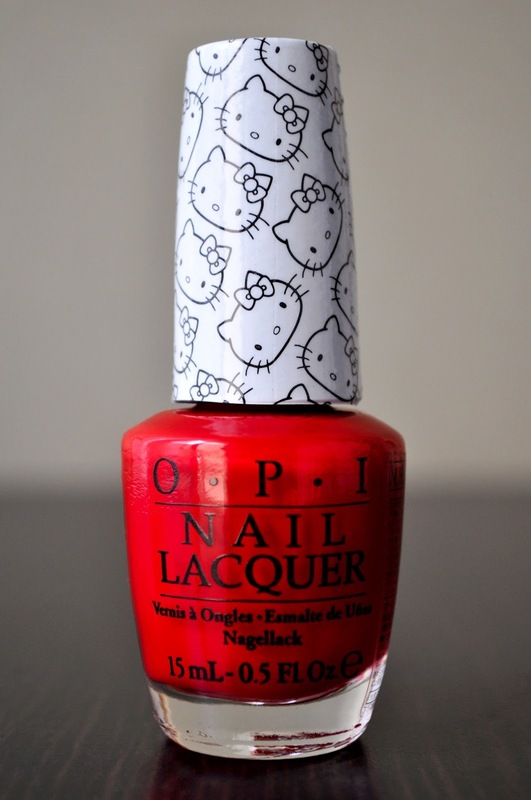 Anyhow, here's the second of the three nail lacquers I got from the Hello Kitty by O.P.I Collection, Cheery Blooms. Cheery Blooms is a juicy (can a nail polish be juicy? ), bright, maraschino cherry red, with a crelly finish.The "Windex Streak-free" shine of the polish makes me love it even more. With its smooth consistency, Cheery blooms' formula is perfect as well as a joy to apply. 99% opaque with one coat, I applied a second to deepen the color a tad more. I got a full six days of wear, before retiring Cheery Blooms for another polish. Granted, Cheery Blooms isn't an original shade, but it's the kind of color that makes me happy whenever I look at my manicure. 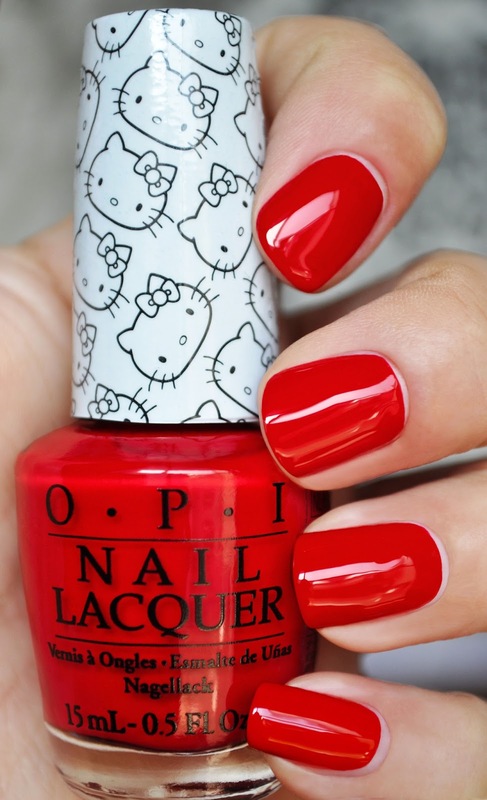 What red polishes are you currently loving?